Inventory Management is a vital process for a business because the exact maintenance level of stocks that can meet consumer market demands is essential to increase efficiency or manage productivity. Large organizations and small companies are realizing the valuable usage of Inventory Management system to keep track of product levels, the record sales and orders and successful deliveries. Documentation of bills or work orders can also be generated. By organizing data, companies can avoid excess and shortage of stocks. The inventory management software from Bsquare also ensures there are no errors during the tracking of the inventory. Instead of manual management of inventory through writing it, the software incorporates barcode technology to facilitate tracking and searching of inventory. Through simple programming of software the stock managers can be alerted of any shortage in stocks. Companies providing services can track the costs of material expenses. The system comes with benefits such as reduction in costs, optimizing flow of stocks, improvement of turns and cash flow, the locations, status of inventory and planning & reporting. 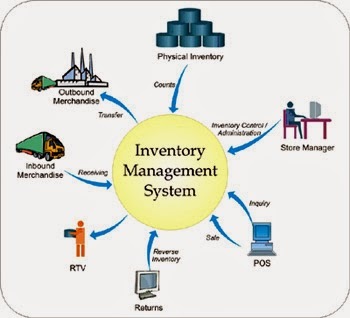 Inventory Management also helps companies to reduce costs of transporting the inventory. New inventory management techniques reduce the use of resources and impact the bottom line. In manufacturing company, information about raw materials, finished goods, tools and supplies ought to be tracked and reported by the inventory management software. There should be a provision of online enquiries into stock status and inventory value by different locations. Also description of all items should be included. Companies should be careful in selecting the software package that is tailor-made to its internal processes and answers the need of its inventory management.